1. Preheat oven to 350˚. Place tortillas in oven to warm while preparing the rest of the dish. 2. Combine the ground beef and onion in a skillet. Cook until the ground beef is browned and crumbly. 3. Add the Smoky Paprika Chipotle and chopped tomato to the skillet and cook for a few more minutes. Drain off any excess fat. 4. 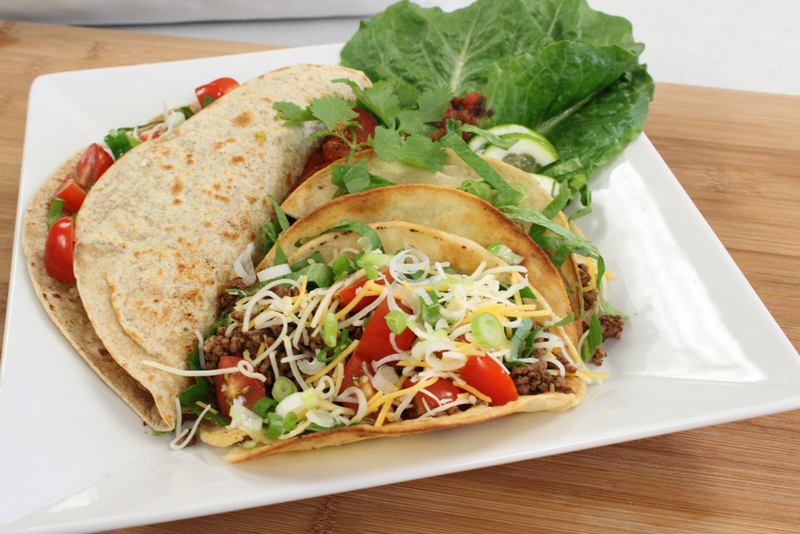 Place ground beef mixture on the tortilla with any combination of garnish that you like. For heat lovers, add more of the Smoky Paprika Chipotle to the ground beef.